Muscle spasms, stiffness, and upper back pain are common among people these days. Sitting in the same position for a long time, bending, twisting, or poor posture can cause upper back pain. An abnormal curvature of the thoracic spine called Scoliosis can also cause back pain. However, there are many things you can do at home to reduce upper back pain. The earlier one goes for a treatment, the better the results will be in recovery and healing. Going for ice therapy for the first few days, and then using a hot bag later on can relieve the pain to some extent. A bag of ice can be applied to the area that’s in pain for 20 minutes every four to six hours. The same goes for hot bag treatment. Begin the therapy after two or three days of icing. Take a break if your back hurts a lot, but don’t rest for too long as it can cause muscle stiffness. Instead, return to doing normal activities slowly, and avoid doing things, which you think would make the pain worse. 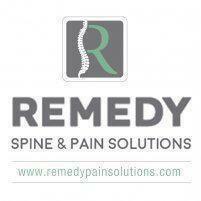 Use over the counter medicines such as Aleve, Aspirin, Advil, and Motrin to treat upper back pain. These medications can help reduce swelling and pain, but consult with a doctor before taking certain medications to make sure it is right for you. Exercise can help strengthen the muscles in the shoulders, back, and stomach, as well as support the spine. Good exercise for muscle can improve the posture, decrease the chances of injury, and maintain better body balance. Consult with a therapist on which exercises you can do to avoid upper back spine pain. Poor posture causes stress on the back. It is advisable not to slouch or slump. Sit or stand tall with the stomach pulled in to support your back. Also, try to reduce stress at work, as any form of stress can cause back pain. Trying deep breathing and relaxation exercises can go a long way in reducing stress, and in turn, the body pain.